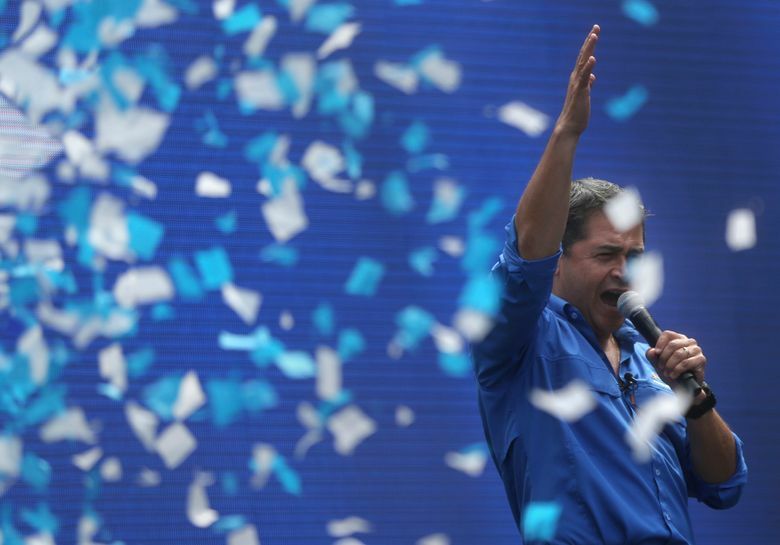 TEGUCIGALPA, Honduras (AP) — President Juan Orlando Hernandez was declared the winner Sunday of Honduras’ disputed election after three weeks of uncertainty and unrest in which at least 17 people died in protests amid the opposition’s allegations of vote fraud. According to the court’s official count, Hernandez won with 42.95 percent to 41.42 for runner-up Salvador Nasralla, who well before the announcement had challenged the result and said he would not recognize it. There were reports of nighttime demonstrations on main boulevards in Tegucigalpa, the capital, and other cities, and Nasralla’s party called for more protests Monday. There was no immediate public comment by Hernandez, whose sister Hilda Hernandez, a Cabinet minister, died Saturday in a helicopter crash. Earlier in the day Nasralla traveled to Washington to present what he called “numerous” examples of evidence of alleged fraud. He said he planned to meet with officials from the Organization of American States, the U.S. State Department and human rights groups. Interviewed by UneTV during a layover at the Miami airport, Nasralla called Hernandez’s re-election illegitimate and said he would ask the OAS to invoke its democratic charter against Honduras. Former President Manuel Zelaya, a Nasralla ally, called for civil disobedience from the population and for the armed forces to recognize Nasralla. “May God take us having made our confessions because today the people will defend in the streets the victory that it obtained at the ballot box,” Zelaya said. OAS Secretary General Luis Almagro said via Twitter shortly before the announcement that election observers concluded “serious doubts persist about the results.” He asked that no “irresponsible pronouncements” be made before observers could make definitive reports. The first results reported by the electoral court before dawn the day after the Nov. 26 election showed Nasralla with a significant lead over Hernandez with nearly 60 percent of the vote counted. Then public updates of the count mysteriously stopped for more than a day, and when they resumed, that lead steadily eroded and ultimately reversed in Hernandez’s favor. The electoral court recently conducted a recount of ballot boxes that presented irregularities and said there was virtually no change to its count. Since then it had been considering challenges filed by candidates. Hernandez, a 49-year-old businessman and former lawmaker, took office in January 2014 and built support largely on a drop in violence in this impoverished Central American country. According to Honduras’ National Autonomous University, the nation’s homicide rate has plummeted from a dizzying high of 91.6 per 100,000 inhabitants in 2011 to 59 per 100,000 — though Honduras remains among the deadliest places in the world. 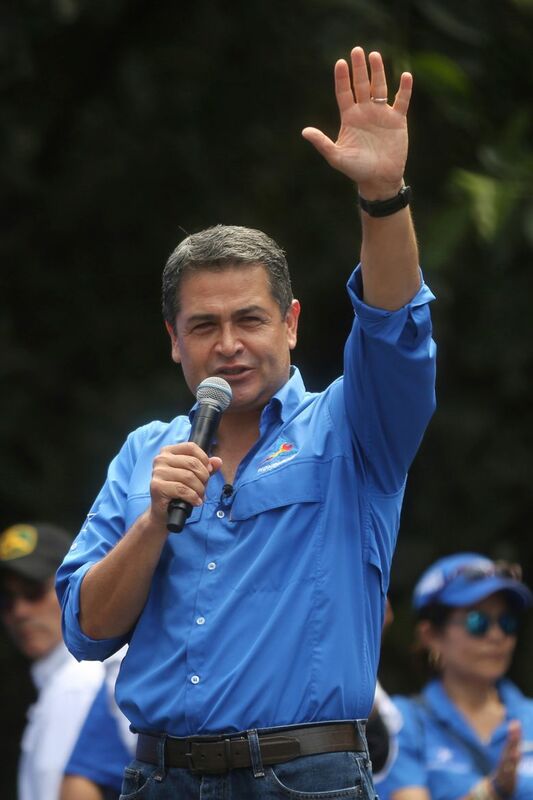 But corruption and drug trafficking allegations cast a shadow over Hernandez’s government, and his re-election bid fueled charges that his National Party was seeking to entrench itself in power by getting a court ruling allowing him to seek a second term. Re-election has long been outlawed in the country, and Zelaya was ousted as president in a 2009 coup ostensibly because he wanted to run again himself. He later founded the party that ran Nasralla as its candidate. Hernandez’s government recently accused Zelaya and Nasralla of ordering “gangs” to block streets and commit violent acts amid the protests, which have seen burning barricades and clashes between rock-throwing demonstrators and police and soldiers responding with tear gas. 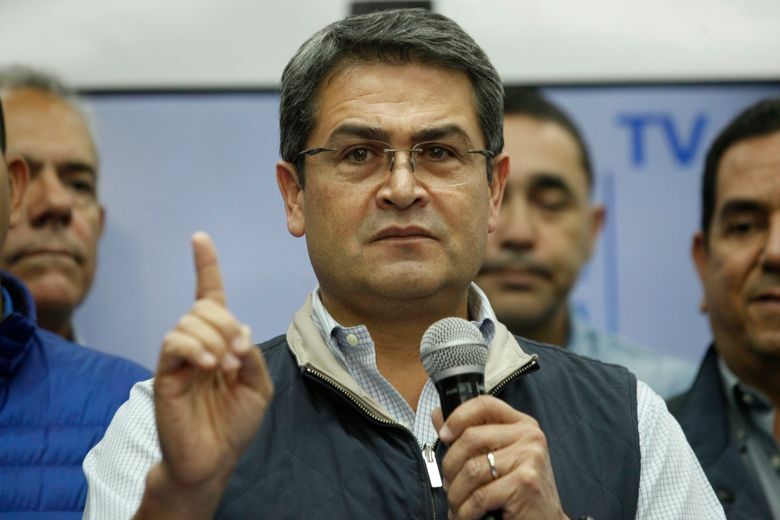 “The generalized crisis that Honduras is experiencing is primarily due to the disagreement there has been between the political parties which, in a democracy, must respect the majority will of the people expressed at the ballot box,” National Human Rights Commissioner Roberto Herrera said in a statement.